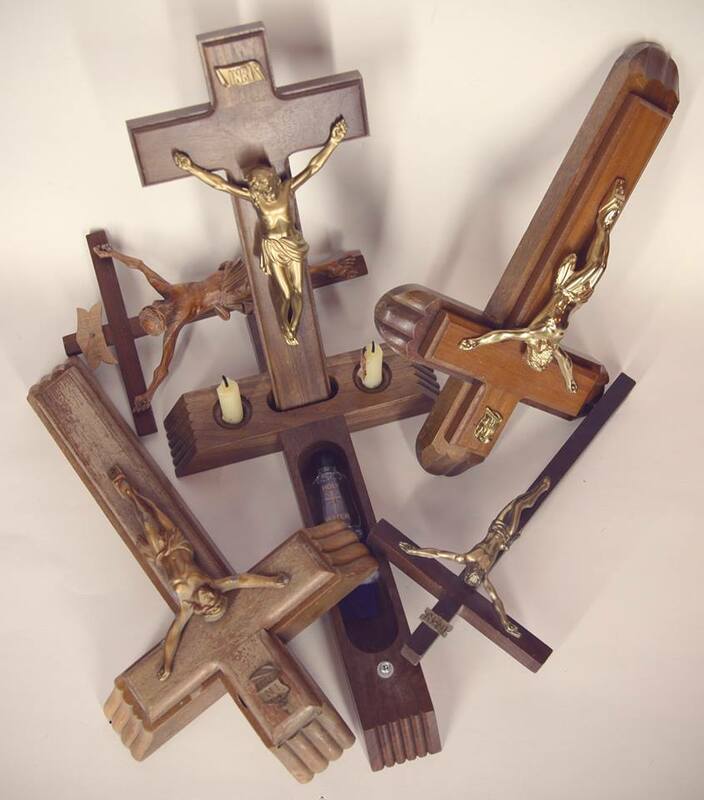 Within this writhing pile of agonized Christ are three Catholic sick call kits. With this kit one sits and waits with the dying for a priest to come and deliver the last rights. This is rather not unlike a first aid kit for the devout. Knowing the time has come, eschewing medical aid in favor of spiritual aid… Despite the bickering of this god or that god or no god, these collected sick kits represent time spent in comfort and in confidence. They represent final howling pain and last touching words whispered over a pillowcase. All faith aside, they are the remainder of someone having cared for someone else enough to bring them light and comfort in the final moment of darkness. Someone trying to share the lonely moment when death takes over and the eyes see no more, the ears hear no more and the heart neither beats nor feels again..